I am not a fan of Gelato. It’s at times too melted and not stiff enough. It melts too quick, and it is too soft. And of course, it has less butterfat than regular ice cream. 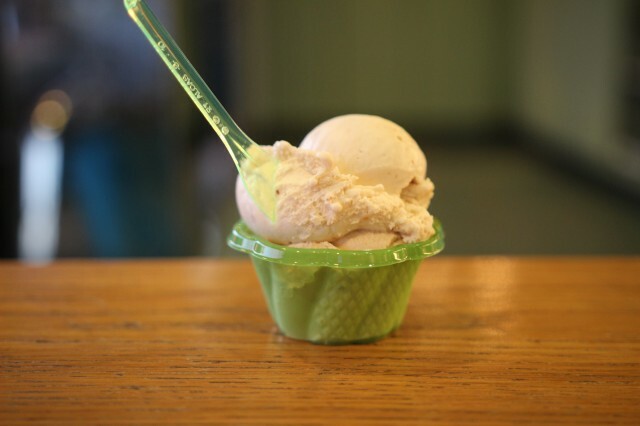 Gelato has more milk than cream, so it has less fat. Good thing it’s hot though. 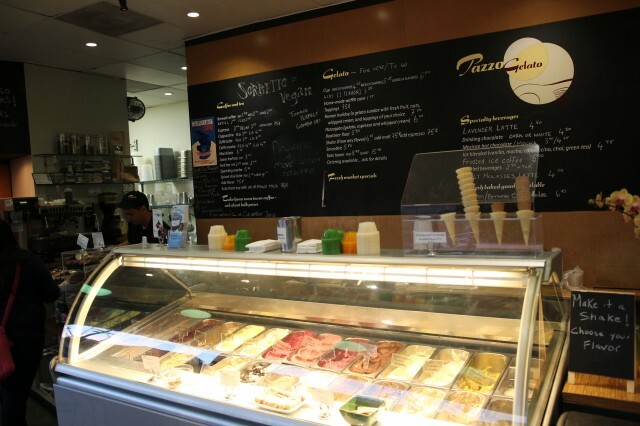 The samples I was given didn’t last long, and the gelato I ordered didn’t stand a chance. The faster it melted, the faster I ate it. I know salted caramel and almond fig is a weird combination, but I wanted to try both. Bring a fan of the very dense and hard ice cream, the soft, very “watery” gelato was a bit off putting. Still though, the lack of butter fat really allowed the flavors to come through nicely. The salted caramel was sweet but nothing in your face. The almond fig had a nice mellow flavor and fruity fig accents. The combination wasn’t that bad. I had my fill with all of the samples I had. Pazzo Gelato in Silverlake had some interesting flavors. I guess gelato isn’t that bad, right? The flavors are nice, and in this summer heat, anything cold in iced ream form is welcome. 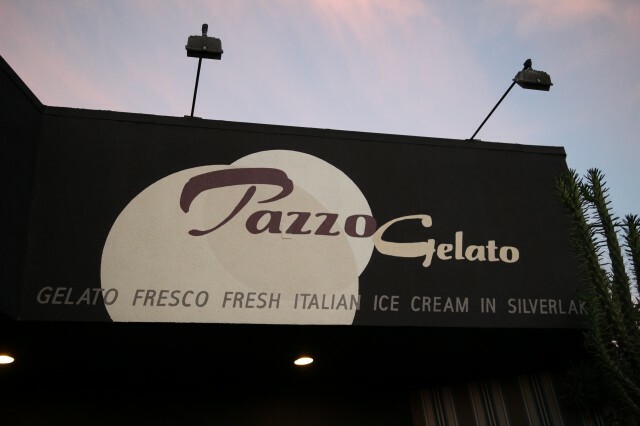 For gelato lovers, Pazzo will tickle your fancy.